In continuing with the theme of efficient weekend trips, the Republic of Singapore offers up one of the most food-worthy and unique travel experiences in Asia. If Singapore was classified as a cultural/ethnic group, it would invariably be the Asian Americans of the Western world. With its heavy Asian cultural influence mixed with modern architecture and Westernized business practices, it is as if someone took all the second generations Asians from around the world and dumped them onto an island and screamed “have at it.” What you end up with is a country where the majority of the people can speak both Chinese and English fluently, yet still knows a good soup dumpling when they see it, all the while understanding that getting a B on your report card means you are sleeping over at a friend’s house for a month. Singapore, by far, is my favorite country in the world. The country is an underrated food mecca and its further buoyed by how easy it is to get to from any major Asian city. Prices are super reasonable with low cost carriers such as Jetstar, Scoot and AirAsia offering daily flights that range from $30 – $100 one way. While I would love to say anyone can take a weekend trip to Singapore from San Francisco, the 40 hour RT travel time is not practical(hey, even Foodamentals has limits). Instead, I recommend you stick to an easier weekend trip, like a weekend trip to Taipei. Realistically, stick a 2 day trek of Singapore onto your itinerary the next time you are in Asia. It is totally doable and you’ll thank us for it. Besides being popularly known for caning people and their no gum policy(as most Westerners seem to associate Singapore with), the city-state is immaculately clean, incredibly modern and English is the lingua franca. The country’s food scene is incredibly diverse with a mix of Chinese, Indonesian, Indian and Malaysian influences. In fact, I would argue that Singaporean foods are the de facto representation of what fusion food should be like. For a good, deep look at what local Singaporean food looks like, follow my good Singaporean friend Marsk Ong as he eats his way through, around and underneath the country. The problem with trying to pick stuff to recommend is that there are just too many resources on the internet to cycle through. So rather than give out a bunch of recommendations on things that everyone on the interwebs have already done, we hand picked the things that we think will give you maximum Instagram-envy to your IG followers. Eating chili crab at the No Signboard Seafood Restaurant, chicken rice at Tian Tian Hainanese Chicken Rice in the Maxwell Hawker Centre or hanging out at Clarke Quay is cool. 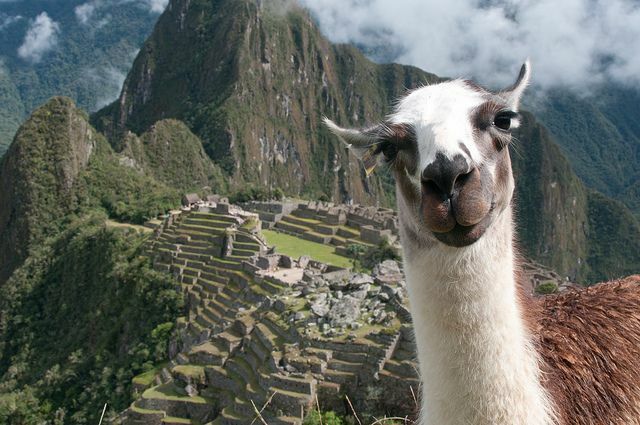 But, with those locations more played out then a Macchu Picchu selfie, why bother. If you are going to be in a country for 36 hours then might as well go all out. If that is the case, then the iconic Marina Bay Sands is the most drool worthy place you can throw your wallet at. Sure, there are much much cheaper alternatives in the country, but if you are going to be here for one night, do it in a way you will always remember it. This iconic hotel is known for its ridiculous infinity pool that gives you an unprecedented view of the Singaporean skyline and can only be accessed if you are a guest. So really, you should/gotta do it. If you are going to be staying at Marina Bay Sands(MBS) then might as well party hardy at the Marina Bay Sands. Ku De Ta is the rooftop bar/club that sits right next door to the MBS infinity pool. Sadly, you can’t access the pool from here, but you can stare longingly at the cool, crisp, water as you sip on your $18 USD jack-and-coke. Alcohol isn’t illegal in Singapore, but its damn expensive. So drinking any sort of alcohol in Singapore is going to cost you your left leg, so do come prepare to throw down some major cash or hit up the local 7-Eleven prior to heading out. There are a lot of ex-pats at this joint, so you’ll be just fine with English. For good or bad, partying here felt like I was transported back to San Francisco and spending a saturday night at Harlot. Being that Singapore is in Asia, table service is the choice du jour and because most clubs in Asia don’t have a dance floor, be ready to stand around or push your way around the club(just like home). While Zouk is super famous and frequently shows up on many worldwide club lists, honestly, only come here if you are between the ages of 18 and 25. If not, then come here, snap a quick Valencia-filtered picture, and be on your way. Seems like every major city needs to have a ferris wheel so that they can announce to the world “we’ve made it!” Similar to big ferris wheels such as the London Eye in London, the Navy Pier ferris wheel in Chicago and every other frickin ferris wheel on earth, the Singapore Flyer is a massive structure that, at one time, was the biggest/tallest ferris wheel on earth. Stunning views, air conditioning and a 7-Eleven at the base, The Singapore Flyer is a great time killer when visiting Singapore. I make no qualms about this when I say, hands down, the Singapore Zoo is the best zoo in the entire world. Many of the harmless animals roam freely around the park and the exhibits are seamlessly integrated into the walking path so you feel like you are right next to the animals. Monkeys swing overhead while peacocks are meandering around the walking trails, it is the first zoo where I would tell people they aren’t crazy if they wanted to buy a season pass. The only downside is that its far from any subway stops so my recommendation is grab yourself a taxi to make it easier on yourself. Pretty spectacular man-made garden that sits right next to the Marina Bay Sands. Don’t do what we did, which was visit this place in the middle of the day because you’ll sweat more than if you were wearing a sumo suit in a sauna. However, those metal “trees” make for an awesome scene in the night sky. Hawker centers are the reason why you would come to Singapore for 36 hours. Singapore is the official Foodamentals culinary capital of the world. With such a huge honor bestowed upon this city state, their food must be off the heezy. Yes… yes it is. A hawker center is like a huge mall food court, except that its located outdoors and there’s no Sbarro or Panda Express in sight. Rather, “street” vendors “hawk” their wares to locals and tourists of all shape and sizes. While there are too many hawker centers to name, here is a pretty good guide from a renowned Singaporean blog to get you started so you can sound “with it” when you get there. Here’s our review on the Tiong Bahru Hawker Center. I don’t know how the Singaporeans do it, but damn, this dish is explosively good. Sadly, I haven’t found anywhere in the United States that serves anything remotely close to this, but its worth buying a $1000 planet ticket just to fly to Singapore to eat this. It’s that frickin good. New Ubin Seafood was introduced to me by a local friend of mine and the patrons, atmosphere and the food certainly reflect that. The restaurant is a bit out in the boonies, so the only/fastest way is to taxi it over and back. Literally translated as meat bone tea(肉骨茶), bak kut teh is a commonly eaten breakfast meal with its historic roots from the Hokkien/Teochew cuisine region of China. Founder Bak Kut Teh is an uber popular restaurant tucked away between Novena and Toa Payoh subway stations and serves pork ribs simmered in an light herbal stew. Accompaniments such as the offals soup in the first picture, veggies and crunchy Chinese donut can be used to spruce up the offering. Unlike the Penang style Air Itam laksa, Singapore laksa has a decidedly different flavor. Rather than rehash the differences, head over and read our in depth review here. If you enjoyed reading this post and would like to read more awesome travel and food articles, follow us on our Facebook Page and Twitter! Most of the good pictures are by Andy Blake Photography and the crappy ones by Jeffrey Lin.